Torrents are one of the most used file sharing networks at the moment, and becoming more and more popular by the day. As all of you probably know, torrents make every user into an uploader as well as a downloader, sharing the load amongst peers instead of burdening one server. Most people only know torrents as a program for piracy though, used for downloading games, music, and music. Torrents are all that, agreed, but also so much more. OneSwarm is a project of Tomas Isdal, Michael Piatek, Arvind Krishnamurthy and Tom Anderson, students at the University of Washington. They’re trying to renovate the concept of Peer-to-Peer, introducing increased privacy and user friendliness. OneSwarm is a web-based F2F (read more below) client, that runs on Windows, Linux and Mac OSX. Scroll down for a more extended function overview. The Peer-to-Peer protocol relies on everybody for both uploading and downloading. Although this makes for an incredibly efficient way of file-sharing, it also buries your privacy-bucket deep in the backyard. 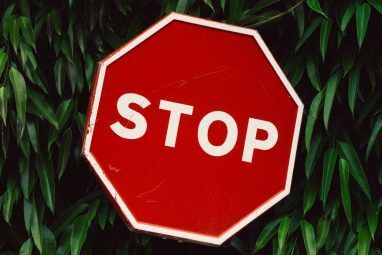 Perhaps you don’t know, but while connected to other peers, everybody can see your (raw or resolved) IP address, allowing them to track you and your online actions. OneSwarm resolves this by deploying a net of trustees, ‘friends’ as one might say. 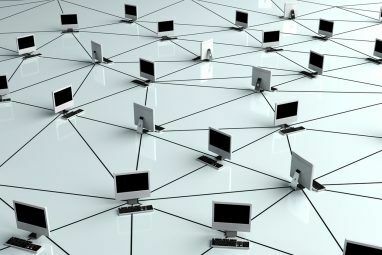 This way, you can choose to connect only to the people, who will be the only ones able to view you connected and your IP-address. That doesn’t mean you can only access packages from friends, though. When a friend doesn’t have what you’re looking for, OneSwarm triggers a domino effect, and will start looking with your friend’s friends, and their friends after. Each level you further will exponentially increase your results. 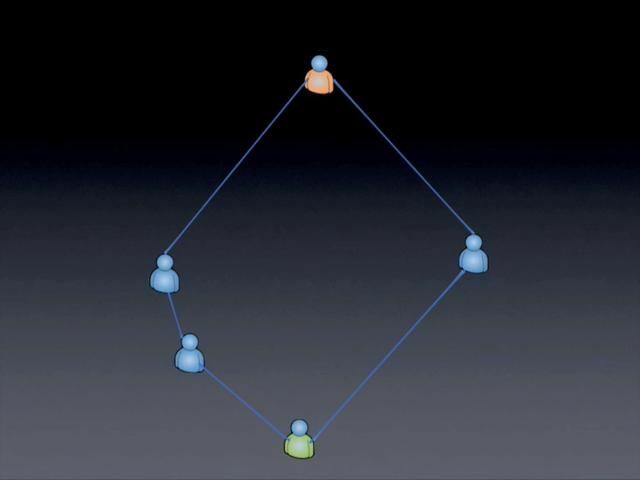 It is said that two random people can nearly always be connected in under eight steps, a principle which OneSwarm puts to good use with its F2F protocol. Because all packages get passed on by friends, and nobody can see past the next link in the chain, no one knows what is going where, only in what direction it’s heading. All of you who’ve ever tried cooking up a torrent know it’s not an easy task by far. Especially a beginner can easily get lost in this intricate maze. OneSwarm reintroduces userfriendlieness to Peer-to-Peer (or Friend-to-Friend). Sharing files or folders is as easy as selecting them in the application, and choosing who to share it with; no more digressions for you, sir. Check the embedded video below for a complete overview. Make sure you’ve got the right files. By using OneSwarm’s Media Preview, you can watch parts of a video or collection of photographs even before it finishes downloading. All content is transcoded real-time in OneSwarm, so you don’t need any additional applications or even codecs. And we’re not only talking flv’s here, but also non-web encoded content like avi’s! If your computer is turned on, you can remotely access OneSwarm and your files through a browser. Just log in with the right username and password, and you’ll feel like you’re sitting behind your system. Perhaps the most interesting feature is that you can use this to stream any downloaded media directly to the another browser. Check here for a video tutorial that will walk you through the process. To be honest, F2F isn’t ready to replace P2P yet, for the simple reason that this cancer hasn’t spread far enough yet. For the moment being, OneSwarm’s F2F is best used as a simple file-sharing system amongst friends, but as more and more people install the software, the available content will surge as well. However, as OneSwarm is able to double-function as a regular P2P agent, I’ve already made the switch. Have you? Drop a comment below. Looks like this app is a step in the right direction in regards to user privacy. As with with any new innovation however, any tool can be abused. As always one should proceed with caution. I've tried OneSwarm before but kicked it because it created a .torrent file for every file in my share. I shared a folder with > 1000 Pictures and it took hours to initially hash them. Bad thing is that OneSwarm had to reinitialize every file (or the correspondig .torrent) on startup which lasted remarkably longer as firing up my regular torrent client or eMule. So, performance is still an issue. Others may not like the browser UI, I for myself think its okay, I just had problems figuring out the different sharing options. I like the idea of F2F and seeing that there are a bunch of similar projects arising (Retroshare, Alliance). I hope it will be an option for the future. Unfortunately there is still the one killer F2F app missing. "Tomas Isdal, Michael Piatek, Arvind Krishnamurthy and Tom Anderson" - it's BitTyrant (Azureus' fork) staff. I must yield, it seems. Cool find Simon. I may have to try this out. True. Like with the F2F concept, OneSwarm isn't exactly designed for bandwidth-nibblers. 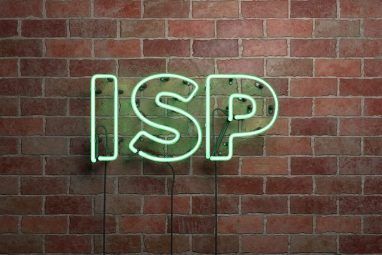 However, all over the world, ISP's are moving along with the time, and moderately cheap connections with plenty of available bandwidth can be found in most countries.